Do you have PJ Masks fan at home? 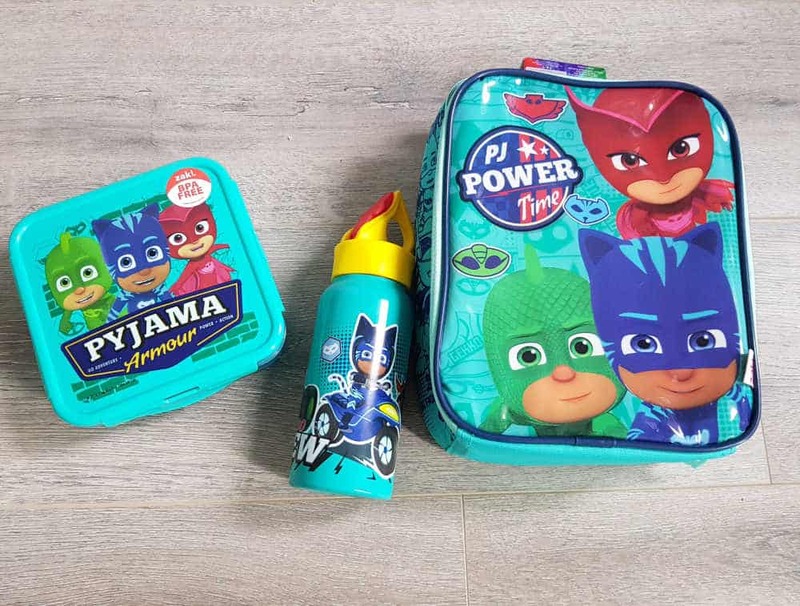 I have two of them and we are loving all of the new PJ Masks items that have been released just in time for Easter (and the school holidays!). While we love doing all of our own crafts and activities, I have to admit to loving a craft pack! They are perfect for pulling out on those days when you need to get things done. We also take them with us when we go away as taking your own craft supplies just isn’t practical! Check out the great new range that’s just been released. The PJ Masks are on their way, into the night to save the holi-days! My kids have been enjoying testing out some of their new range and they’ve of course been fighting over who gets to keep the cool new lunchbox and drink bottle! Have you done your Easter shopping yet? The new range of PJ Mask themed Easter eggs are sure to be popular. I really like to give the sets that come with an egg and a bowl and mug – I find we get to use it all year and it keeps the chocolate intake minimal! 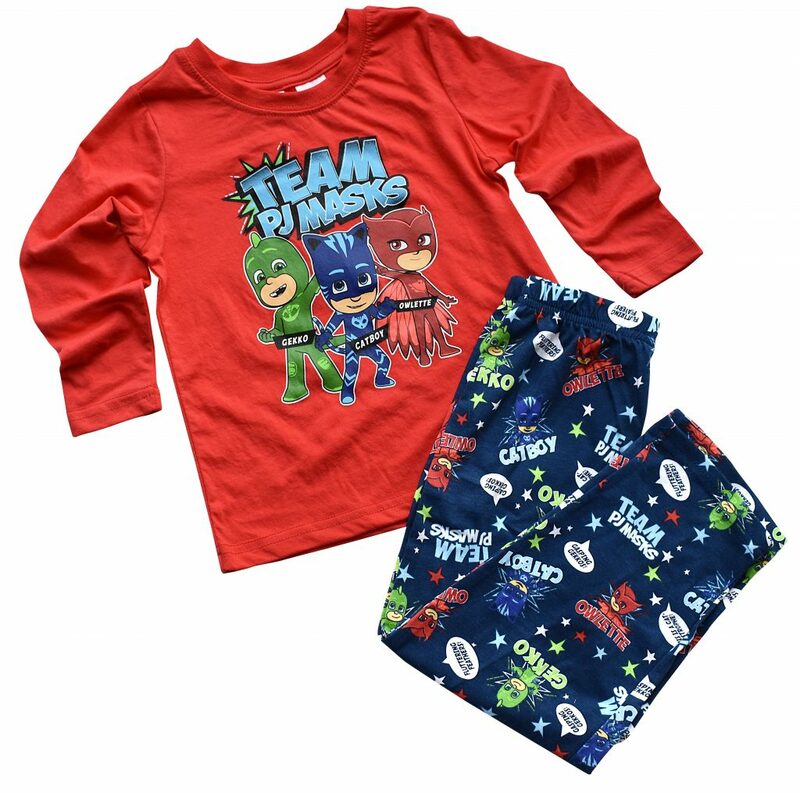 In our house the Easter bunny always brings some new Winter PJ’s too and some PJ Mask themed ones would certainly be appreciated 🙂 You can find the ones below at KMart. 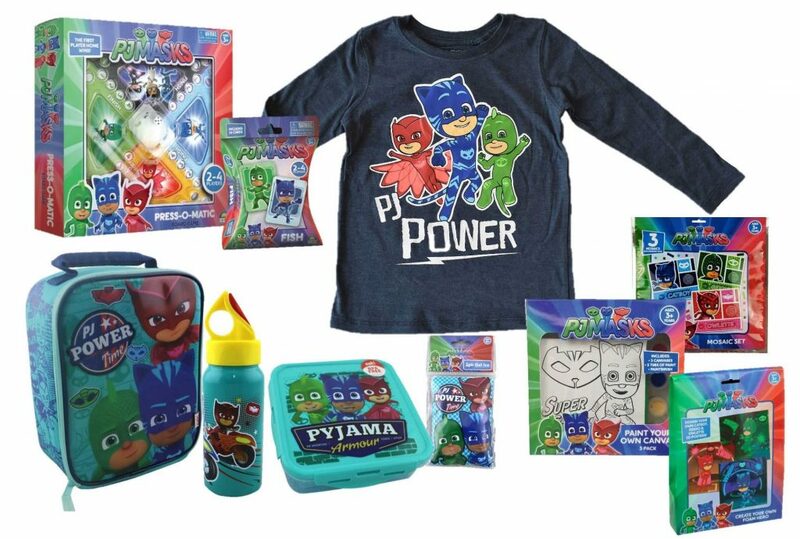 You’ll love this prize pack for your PJ Masks fan. It includes everything you see in the photo below. Won’t that make someone’s day! Entering is easy. Simply comment on this post or on our Instagram or Facebook posts telling us why you want to win. Entries close 11.59pm Monday 22nd April and the contest is open to Australian residents only. Bedtime is no longer a chore time, thanks to the little one now believing they’ll be a superhero once they go to sleep! I want to win because from tantrums to tears, whining and fears it’s PJ Masks that saves the day in our household all the time! My boy is a PJ mask fan,. First place, more than superman! Fighting for good, raised fist. Role models with humurous wit! A firm favourite every day. A companionship that never ends. 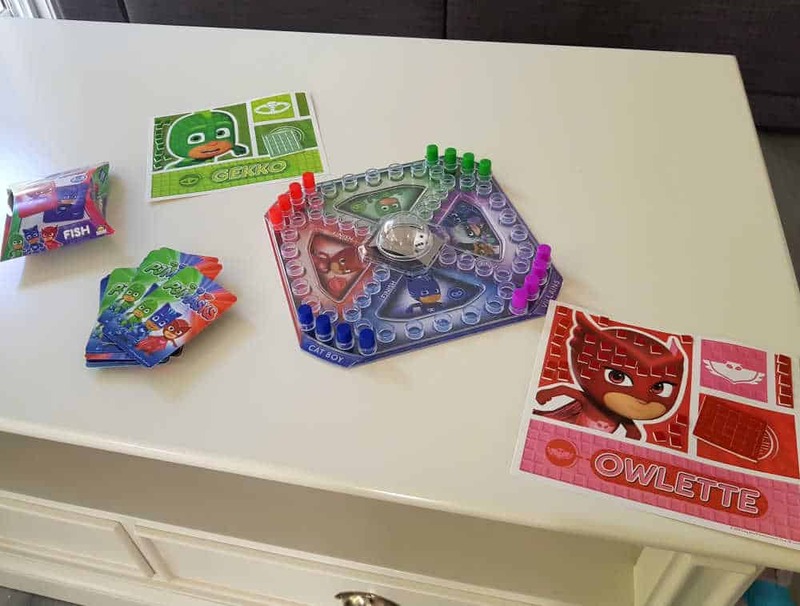 Owlette rules in our house so the PJ Masks prize would be drooled over. I would keep this until Christmas to surprise my Grandkids. They are all different ages so a gift for everyone. What fun watching them open each gift and sharing with each other. My 2yo daughter and her 2 big cousins pretend to be Owelette, CatBoy and Gekko. They love to pretend to be PJ Masks. They would adore this prize pack! My daughter loves PJ Masks. It has really helped her transition from those toddler days of “me, me, me!” into a pre-school mindset where she understands the concept of being a team -> thanks Owlette, Catboy and Gecko! Being superheroes doesn’t hurt either, and we love using these characters for imaginative play at the park. Super speed around the tarmac, flying to the top of the climbing frame, and using our gecko feet to climb up and down the slide. How great would some themed gear be to compliment and reinforce all our favourite messages from the show! Miss 4 told us one night after she surprised us by eating all her dinner that she has super gecko muscles because she ate it all, and did her best muscle man pose. So of course we have run with it and very little is getting left on the dinner plate now. Jasmine (5) would love this prize. She adores PJ Masks on TV and this would be brilliant for her to win. My nephew absolutely adores PJ Mask. This would make his day, mine too seeing the joy on his face. 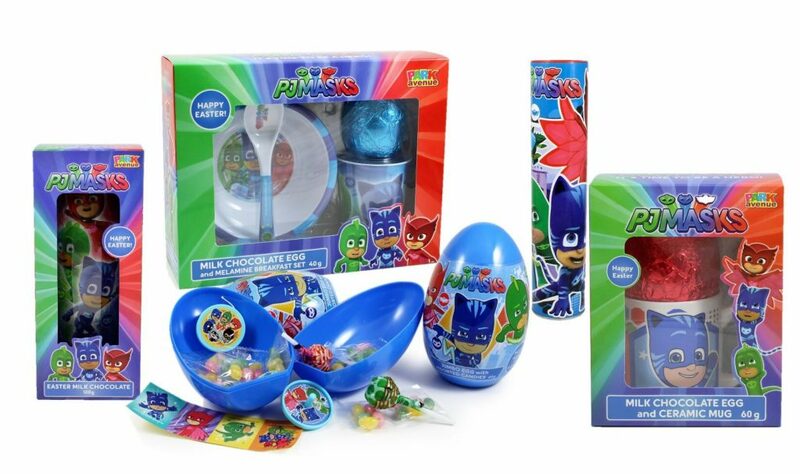 My boys are PJ Masks obsessed so this would make a fun filled Easter treat for them. Tassie has the perfect weather to enjoy spending time doing family crafts, the Mosaic set and Paint Your Own Canvas will be thoroughly enjoyed by us all. PJ Mask they are totally awesome ,what an awesome prizes. I have an obsessed PJ Masks fan who would love this more than anything, even more than Easter Eggs! My son loves PJ Mask especially Catboy. He would be stoked to win this prize. My daughter is like a seagull with chips! Is it just me or do others sing the theme song when they’re driving/cooking/doing the dishes?? NanaBunny would be able to bounce in with the best Easter presents if she won this prize. Thanks for the chance to win it. This would bring some much needed joy and peace to my household and keep the kids occupied. would make me a popular auntie! PJ Masks is a favourite in this house. So great to see a show that shows taking a risk and helping others! I’d love to win so I could share these with my niece. She is such a PJ masks fan, after I visit, i’m still thinking, dreaming and talking about them with my friends! ‘Owlet’ my kids run riot getting their hands on this pack! My five year old would love this! He is PJ Masks Crazy! Our boys are huge fans, there is lots of items in this prize pack to share around and provide hours of fun. Lots of smiles, a big thank you and good cheer! nothing keeps him at bay. and I love making him happy! This would having him dancing and singing the PJ Masks theme song! My son Jackson says he would like to win this pack so he can give it to the Corey, the boy in his class that everyone picks on to cheer him up. My grandchildren both think they are a part of the PJ Masks team and would happily share this prize if they won. PJMasks, loved by my preschooler grandsons, family friendly, learning through fun. She has the costume and holds it dear. To have this PJ masks prize pack would be all she asks. Would love to win this prize for my grandson who loves PJ Masks thank you for the chance to win.